Panama is convenient for most American travelers as well as friendly and safe. It has several beautiful and unique places and could never be described as a `tourist trap`. For independent travelers who enjoy a rustic and authentic travel experience, Panama is a good choice now. However, for discriminating travelers who expect consistent excellence in accommodations, food and other travel amenities, we recommend postponing Panama as a destination for two to three years. Over the last four to five years Panama has been the recipient of large commercial real estate investment and government spending on infrastructure. Donald Trump even is building a complex in Panama City. We are confident that in another five years Panama will have undergone a mini-Renaissance. 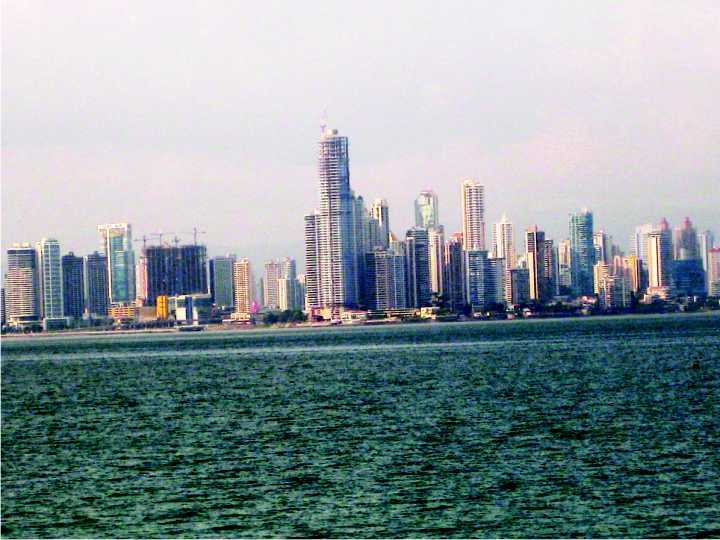 Panama City is a booming metropolis with over 1.2 million people in the metro area. It is a unique city in that juxtaposed next to some modern amenities there are structures and ruins from early centuries dating back to the 16th century. From its roots as an important Spanish trading colony, Panama City remains a significant force in commerce, business and tourism. It is now the gateway to other attractions on the two coasts and in the highlands. Panama is an isthmus and because it easier to go through the canal than around the continent many different countries and regions rely on Panama for its easy access. Upon our arrival to Panama City, we stayed at the Albrook Inn. This small hotel is located outside of the center city in Albrook, an affluent section of town. Our hopes were to enjoy tranquility and a bed and breakfast style ambiance. Sadly, the relatively run down state of our room, and the significant size puddle of water by the bed, left us quite disappointed and a little soggy. The staff tried to be accommodating, but the food was mediocre and we would not recommend the accommodation for visitors. We would recommend alternative lodging options and several exist in the heart of Panama City. One excellent choice is the Bristol Hotel - log on to www.thebristol.com. - Located at Avenida Aquilino De La Guardia Panama, the Bristol is surely one of Panama's finest accommodations. The Bristol is worthy of its association with the 'Leading Hotels of the World'. Rooms are comfortable, well appointed, quiet, immaculately clean and typically have nice views of the city - cost $335 per night. The staff is very welcoming and went out of their way to make us feel comfortable - including fetching my wife a bottle of water as soon as we walked in the door. Another benefit of the Bristol is that it is centrally located downtown. One of the striking features of the city is the old quarter (also referred to as Casco Viejo). These beautiful 17th century structures in Panama City are located alongside the National Theater, Presidential Palace, and French embassy in addition to shopping ranging from upscale boutique shops to sidewalk handicrafts. It is recommended to use the services of a knowledgeable guide so that nothing is missed in touring this area, which has been designated as a UNESCO World Heritage Site. The earlier 16th century historical remains are nearby and certainly worth a visit. Dozens of stone structures provide a look back in time towards what life in Panama City was like nearly 500 years ago. If you decide to tour these sites during the warmer months make sure to wear lots of sunscreen as there is a great deal to see and not a lot of shade to protect you. In addition to Old Panama, the Panama Canal, which enables the passage of ships between the Atlantic and Pacific Oceans, is a marvel of early 20th century engineering and a must see for any visit to Panama City. It is even more remarkable that the Panama Canal locks work the same way that they did since 1914. Two locomotives guide the ship through the narrow lock entrance. Water flows are carefully calibrated to adjust the level of the boat and make passage possible. While there are three locks and several places to witness the action, we recommend the Miraflores Locks for their proximity to the city center, museum and restaurant. The Miraflores restaurant offers a lovely and tasty buffet of various specialties. However, the highlight is not the food, but the marvelous birds-eye view of gigantic ships narrowly squeezing through the locks to the Panama Canal. Since the locks are so heavily traveled, visitors are likely to see several ships safely passing through at virtually any time of day. The museum there is NOT to be missed; it is very informative and tells a great deal about many cultures such as the West Indians and Jamaicans, who were the laborers working on the canal when it was built. Panama City offers a wide variety of dining options, including at least seven kosher restaurants. For those not following strict religious food requirements, take a scenic ride on the highway constructed from the rock blasted during the building of the Panama Canal for a wide variety of eateries and equally enticing views. The Amador Causeway is quite the hot spot for the upper class and young adults, especially at night and on the weekend. It is a beautiful place from which to watch the sunset. We chose to sample some of Panama's international cuisine by dining at the Indigo Lounge in a section of the old city. Serving Moroccan cuisine and sultry vibes, Indigo combines the art of fine dining with relaxation by offering a bar, restaurant and patio section. Take in the warm Moroccan d?cor and start your meal with pita with humus - good enough to make an Israeli proud. We also recommend the broccoli soup. Come on the weekends when a DJ usually spins the tunes. We highly encourage you to get a feel for Panama's local culture by seeing a traditional dance performance while eating a traditional dinner. We chose to enjoy this event at Las Tinajas in Panama City. Complete with local delicacies, traditional dancing and authentic outfits this show provides a wonderful flavor for how the locals see Panama. Make sure to make reservations ahead of time, your hotel concierge can help you, as they do not perform every night and it can get quite crowded. With roughly 5,000 Jews, Panama has the largest Central American Jewish Population. Additionally, Panama is a popular destination for backpacking Israelis. So there is no surprise that Panama City is host to several Jewish congregations as well as a kosher supermarket, four Jewish schools and at least seven kosher restaurants. The Chabad movement is the leading Jewish force within Panama but despite their orthodox focus, they are welcoming to all practicing Jews. We had the honor of meeting Rabbi Aaron Laine at Temple Beth El in Panama City. Rabbi Laine is originally from Crown Heights in Brooklyn, and has been in Panama City for the past 15 years when Chabad originally placed him. Security at Temple Beth El is predictably tight but once inside the Rabbi and staff are welcoming. Life goes on much like in any other Jewish community and the day that we visited Temple Beth El had a bris. Gamboa Resort located a mere 30 minutes outside of Panama City is adjacent to Soberania National Park. A bird watching tower and discovery center host about 450 species of local birds and other Panamanian habitat. The discovery center is self sufficient, using solar panels and rainwater to run. Gamboa is great for relaxing, exploring and especially appropriate for families with children. 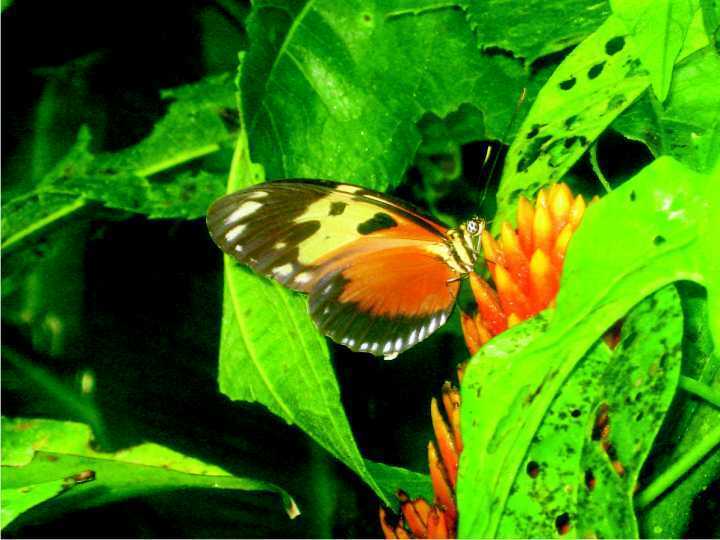 An aerial tram, butterfly pavilion, orchids, reptiles and fish and knowledgeable guides make the trip worthwhile. When visiting, consider staying at the Gamboa Hotel and Resort, with 159 rooms and 36 villas all guests are treated to very quiet and serene grounds. Nightly rates range from $150$250 depending on the season. It is a serene environment with a great spa and luxurious outdoor space in addition to the educational exhibits for families. There is also a replica of the indigenous population's homes and there you can purchase special gifts to take to the US. With pot holes that make New York City streets look pristine, travel on side roads in Panama can be challenging. However, most of the major highways are in decent shape. We traveled to Playa Blanca beach resort, which is known for its black and white sands and its appeal to families. The resort is clean and affordable and is all inclusive. However, we would recommend that travelers desiring a more luxurious experience try Nikki Beach, a nearby upscale luxury resort which was under construction at the time of our visit but likely to be open in 2010. www.nikkibeachhotels.com The Pacific Coast is not only closer to Panama City, it is also significantly more developed when compared to the Caribbean Sea. Either coast will offer plenty of warm weather and ample sunshine during the dry season. However, even non-peak months will tend to offer significant periods of bright sun occasionally interrupted by thunderstorms. Development aside, the greatest difference between the Pacific and Caribbean side is the color of the water. Where the Pacific Coast tends to produce murky water, Caribbean vacationers can expect beautiful turquoise blue seas. The Caribbean side of Panama provides the green-blue clear water, calm seas and warm breezes that tourists daydream about. Bocas del Toro is a short plan ride from Panama City and is in fact a collection of islands situated in the Caribbean Sea. Bocas del Toro is a perfect destination for the somewhat rugged traveler and is filled with backpackers. The town is located on the main Island of Isla Colon and is charming, extremely safe and can be walked in about half an hour. There is one high end hotel with individual bungalows in the water that serve as rooms to their guests. We were able to appreciate its beauty and tranquility as we passed it on one of our boat rides. Be sure to take a boat ride around the various islands in Bocas del Toro. Particularly noteworthy is the area around Cristobal Island, which is home to a number of dolphins and chances are good that you will see some. Starfish Beach is also a must see, filled with thousands of red starfish which can be examined in person - just be sure to quickly return them to the water so they don't dry out! If you think you have seen starfish before you are sadly mistaken for this beach truly has star fish - loads of them. 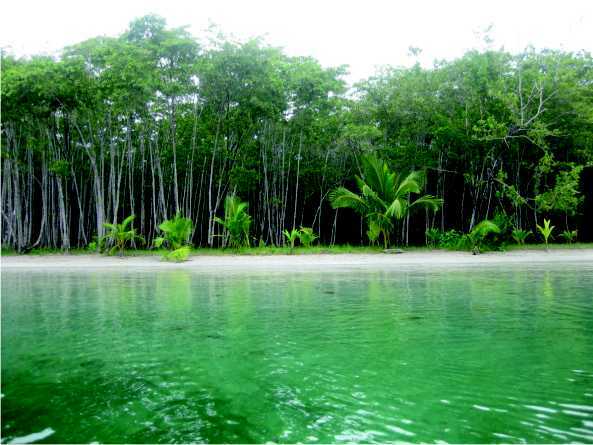 Nearby, Bastimentos Island is a pristine habitat that is the oldest marine park in Panama. For a taste of the nightlife, visit Barco Hundido a discobar fit for the young and old alike. While there is no luxury hotel in Bocas del Toro, Swan's Cay is absolutely a reasonable option (many other accommodations are simply hostels). It is a short walk from the airport, has comfortable although somewhat outdated rooms and a very caring staff. Of special note is the Swan Cay restaurant, which provides very solid food with top notch service. For an even more relaxing meal, take a quick boat ride to Restaurant Coral Cay. Located in a nice snorkeling spot, enjoy fresh seafood or grilled chicken and watch as fish swim right up to the deck, easily visible in the clear, light blue water. In general, the Panamanian people are friendly and encouraging even for those who mangle the Spanish language when attempting to order food or get directions. Panama, by keeping its native charm, and by continuing to encourage recent major development projects, can be well on its way to a premier international destination within a few short years. We await with great promise the future for Panama tourism. 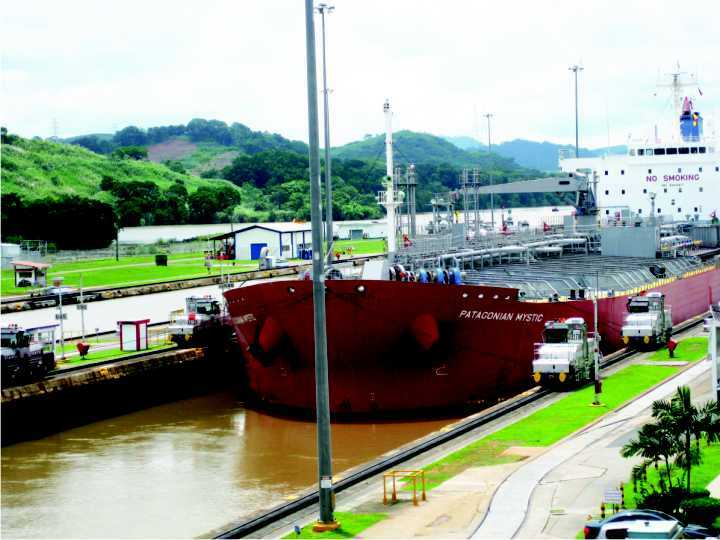 A ship narrowly passes through Panama Canal at Miroflores Locks. Butterflies are plentiful at Gamboa. 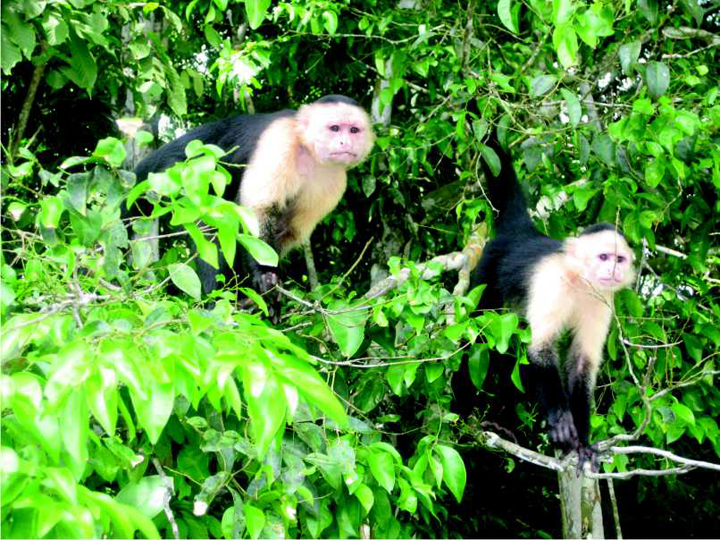 Monkeys residing in the protected habitat of Gatun Lake. 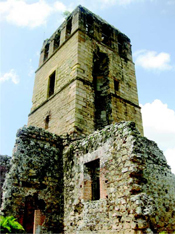 16th century structures remain in Panama City. 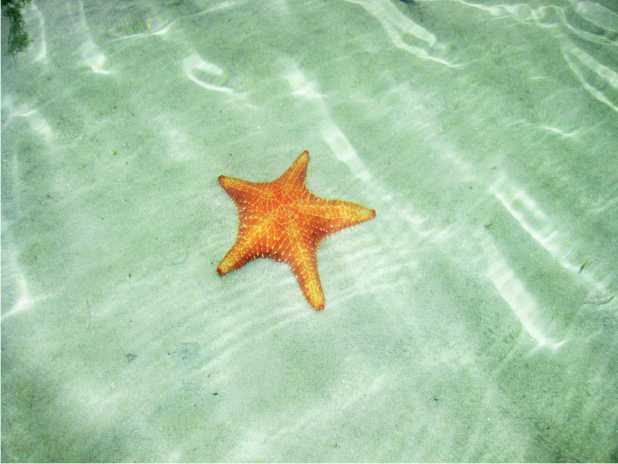 Starfish beach AT Bocas del Toro. White beaches and turquoise waters of Bocas del Toro. 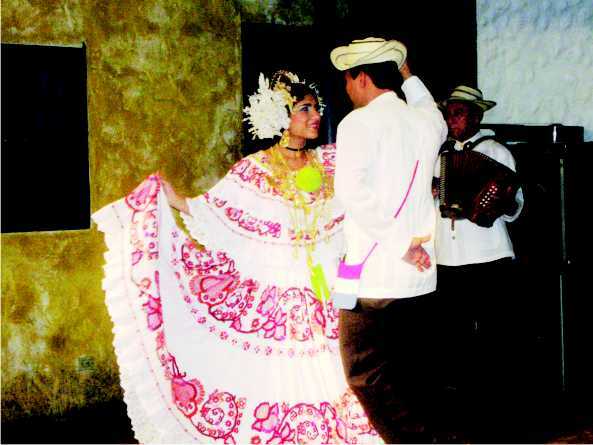 Dancing and cuisine of Las Tinajas - Panama City.